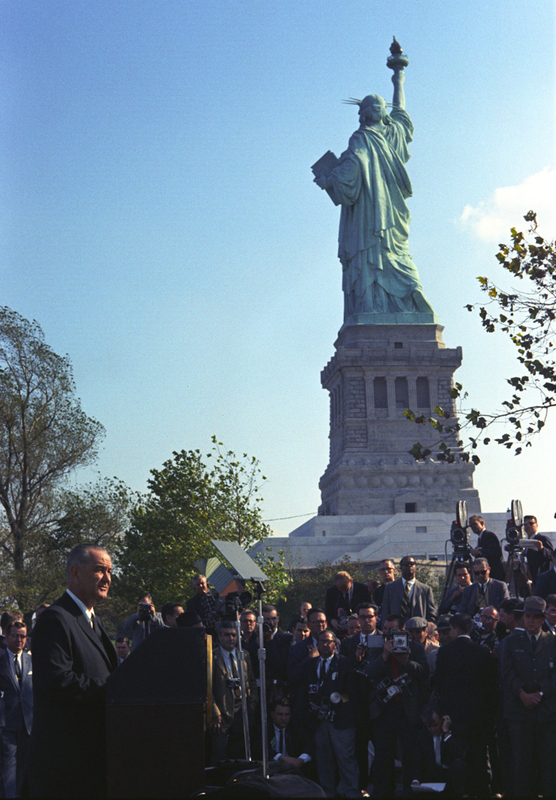 October 3, 1965: President Lyndon Johnson visits the Statue of Liberty to sign the Immigration and Nationality Act of 1965. Families were kept apart because a husband or a wife or a child had been born in the wrong place. This system violated the basic principle of American democracy--the principle that values and rewards each man on the basis of his merit as a man. It has been un-American in the highest sense, because it has been untrue to the faith that brought thousands to these shores even before we were a country.